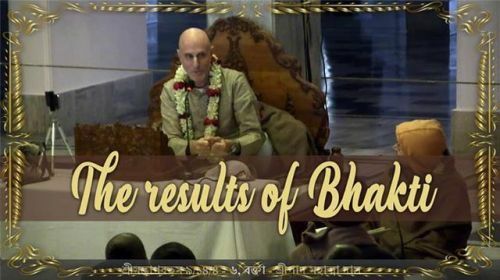 Srimad Bhagavatam class by HG Mahatma Das in Iskcon Mayapur, Feb 8, 2019. Srimad Bhagavatam 9.14.4 – 6. Text 4: After conquering the three worlds [the upper, middle and lower planetary systems], Soma, the moon-god, performed a great sacrifice known as the Rājasūya-yajña. Because he was very much puffed up, he forcibly kidnapped Bṛhaspati’s wife, whose name was Tārā. Text 5: Although requested again and again by Bṛhaspati, the spiritual master of the demigods, Soma did not return Tārā. This was due to his false pride. Consequently, a fight ensued between the demigods and the demons. Text 6: Because of enmity between Bṛhaspati and Śukra, Śukra took the side of the moon-god and was joined by the demons. But Lord Śiva, because of affection for the son of his spiritual master, joined the side of Bṛhaspati and was accompanied by all the ghosts and hobgoblins.